I'm Not Skinny: A little bit of time to breathe. A little bit of time to breathe. I'm a notorious workaholic. Work is what I've done since I was a little kid and so is my natural state of being. I blog, I have a full time job and I do freelance work. I'm always working. I'm also burning out and I feel it happening. I'm nearing my 30th birthday (not until December but it's there...looming) and I've never taken a real vacation. I mean I've taken a few days off to go to the beach, visit friends or attend an event, but never a true, real vacation. Like a nagging child pulling at my nightgown, it's getting harder to ignore; I'm going to need a vacation. I've spent the last 10 days doing some vacation type things. Last weekend I even left my laptop at home and joined friends for a camping and beach weekend in Brigantine. I assume it would have felt relaxing if I hadn't jumped right onto a bus Monday morning and headed west to Harrisburg to visit family and friends. Yet here I am, west of my home relaxing and reconnecting with old friends. It feels nice, but I'm also working because I didn't take a day off thinking I could work and spend time. It's not as easy as it used to be. I find that I really want to spend the time chatting and being otherwise engaged but I failed to ask for time off. I'm having a lovely trip and the last few days of travel and conversation have been fantastic, but next time...I think I'll ask for a few days off. What about you? Do you vacation and if so where do you go? If you're a workaholic like me, where would you go if you could? I also need time to breathe, hopefully in the next few days. Fishing that is! We do a lot of "Staycations" since the kids don't sleep well...anywhere else but in the San Francisco bay area there are TONS of places to go so it's great :) Glad you had some time to breathe! 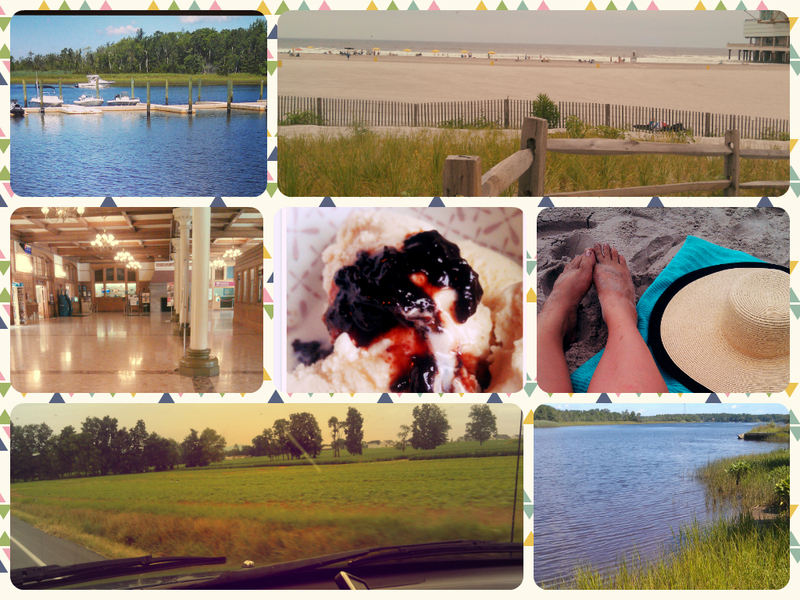 We vacationed for the first part of July and it was amazing. I loved that we had NO internet connection in the cabin we were in, so it forced me to unplug and take a break! We usually like to go to the beach/mountains, etc. I have a hard time not working either and my trip to BlogHer was acually my vacation. I know a working vacation but that is what I get. I have to wait till september... but counting down the days... nice post, thanks for sharing!